Providing Buckinghamshire with expert tyre and exhaust services for over 30 years. If you need replacement tyres in Buckinghamshire then make sure that Buckingham Tyre and Exhaust is your first choice.  We have over 30 years of experience and our highly knowledgeable staff are ready to be of service to you, so why not give us a call today? From a silencer for your car to a complete exhaust system for your light commercial vehicle, you can count on our team to supply and fit the perfect part at a competitive price. We have an excellent reputation throughout the local area due to our fast and reliable service that is always of the highest standard. Whether it’s replacement tyres or minor MOT repairs, we provide a first class service to all of our valued customers, and our staff provide a friendly and courteous approach to ensure you feel welcome.